It’s no secret that the Steam store can be a little crowded, and it seems like the new releases list can change every hour of the day. Therefore it’s easy for games to get lost in a swamp of releases (most seem to be visual novels) and never heard of again. I’ve decided to browse the new releases category on steam in an effort to try out new games that people might not have heard of yet and write about them. The first game I’m doing this for is Corroded, an early access game recently released on Steam by Encircle Games, a six man team out of Norway. 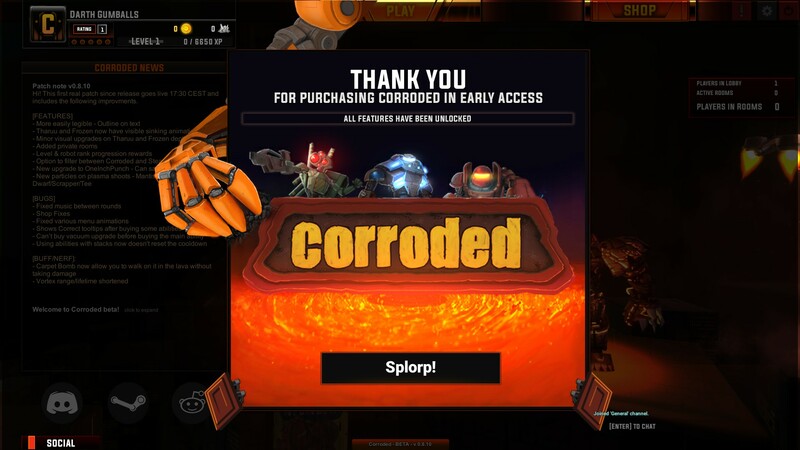 Corroded is an arena brawler inspired by the Warlocks mod from Warcraft 3, where two to eight players fight and push each other out of a shrinking arena surrounded by a hazardous environment. We supplement this by introducing dynamic levels, and focus on speed and a streamlined skill system, giving it a more arcade-like feel. This sounds intriguing. I never played Warcraft III nor have I heard of the mod, but it seems to have become popular again as I came across another game in development based on the mod, Ruin. According to their Kickstarter page, Ruin was shooting for a March 2017 release, however their most recent update indicates that the game is only in a pre-alpha stage right now. This may work out in Corroded’s favor, if there truly is going to be a market for this type of game. Unfortunately, I haven’t been able to truly test out Corroded as of yet. I launched the game after midnight Mountain Time tonight only to find myself to be the only player logged into the game. I did, however, poke around the menus and launch a custom game so that I could run around and everything I’ve seen so far seems solid. The menus are simple, but effective and everything worked smoothly. The game didn’t have any hiccups, and ran at over 300fps while I poked around an arena by myself. The game is selling for $12.99, has been on Steam since April 26, and currently has 33 reviews (17 in English, and 3 that Steam counts) all of which are positive (note that most of the reviewers received the product for free). 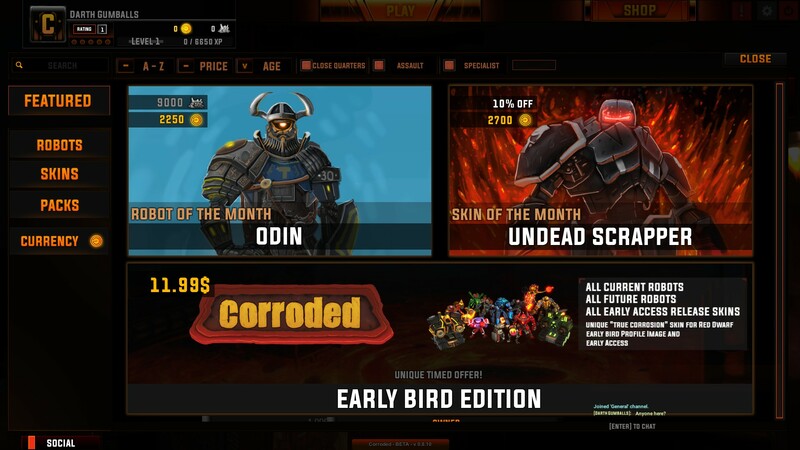 The $12.99 early bird fee grants access to all characters, both current and future, and all the “early access” skins. 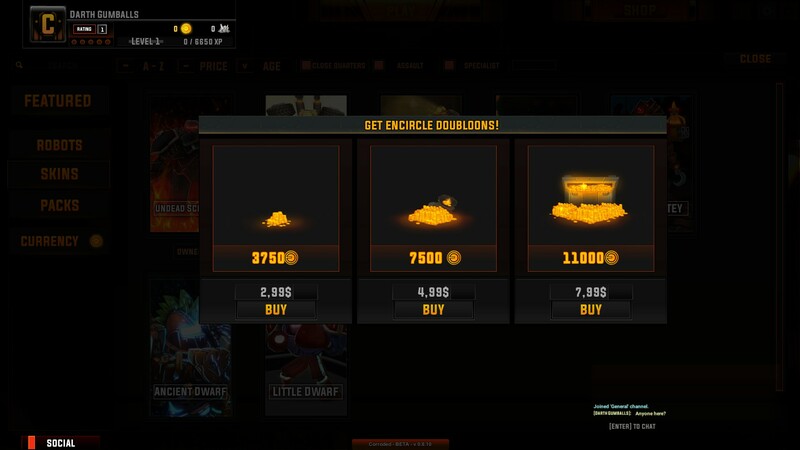 The game already has menus to buy in game currency which can be used to unlock characters and skins, which makes me believe that the game may end up going for a League of Legends rotating free character sort of thing. Until I have a chance to play a round or two with other players there’s not much else I can say, so hopefully I’ll be able to find someone to play with at a better time of day this weekend. I recorded a short video of me running around an arena by myself if you’re curious to see what that looks like check it out below. Can you subscribe to Netflix with a Visa gift card? Having a blast with Overwatch!